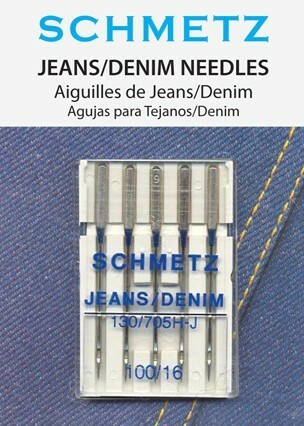 Schmetz Jeans needles are ideal for sewing on heavy denim fabrics and man made leathers and suedes. The sharp point and slender shaft easily penetrate these tightly woven dense fabrics. Available in sizes 100 & 110. 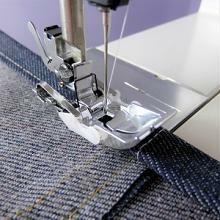 Use the Schmetz Twin Denim needle for perfectly replicating the look of a flat felled seam on jeans or heavy fabrics.